Rolf originally asked $15.77 million, eventually cutting the price down several times before landing on a $10.965 million price tag last November. The property sold via Prime Manhattan, but prior to this, Brown Harris Stevens held the listing which touted a design (seen above) of what a rental rehab could look like. The listing noted the possibility of building an elevated structure up to 84 feet and a setback penthouse addition on the roof (subject to Landmarks approval). 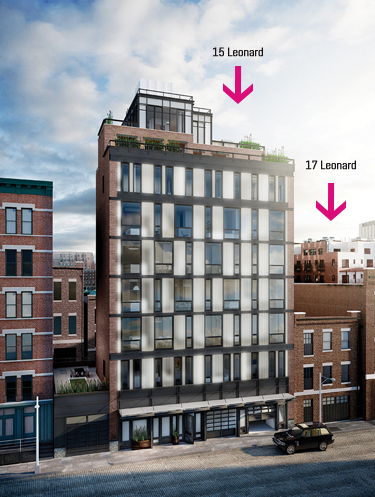 Additionally, bundled with the purchase was the opportunity to negotiate approximately 9,700 square feet of development rights over the adjacent building to the east (19-21 Leonard Street). 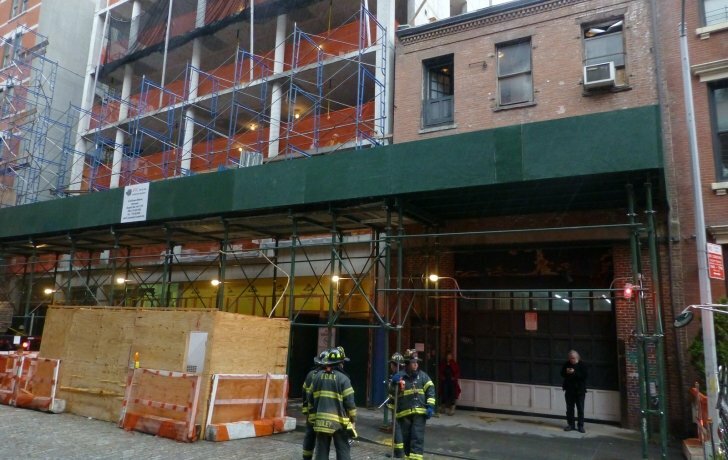 The air rights can’t be applied to the existing building at 17 Leonard due to landmarking, but could be sold to another building where they can be used.